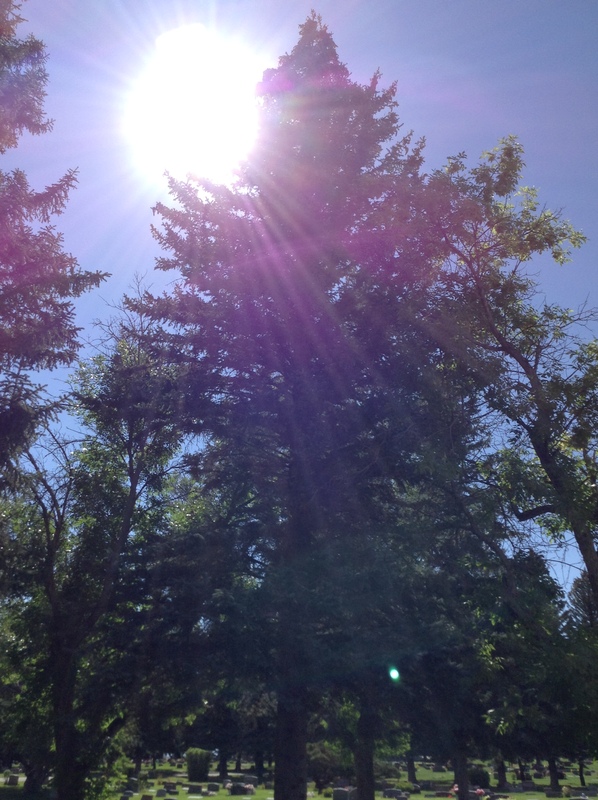 This past Labor Day weekend, my wife and I made a trip to Riverton, Wyoming to visit a relative. While there, we visited the local cemetery, Mountain View Cemetery. We’ve been to this cemetery many times over the years, and never seen any owls…or orbs. We were visiting my cousin-in-law (CIL). His parents (Jim and Signe) are buried in this cemetery, so we stop by every time we visit. This time, we walked and checked out the entire cemetery (I love to check out cemeteries and their art, and post blogs about them; I’ll do the same with Mountain View in the coming week or two). It was about 2:30 p.m. or so, on Sunday, September 4th, 2016. As we walked around the cemetery, around 3:15 – 3:30, I spotted a huge bird take flight across the cemetery and land in a nearby tree. Some deer we spotted might have spooked it. Anyway, my wife and I go to investigate and find this huge owl nestled in the branches, looking down at us! Right at us! It was the coolest thing! We watched it for a few minutes, when it again took flight—it was incredible! I had my iPad mini with me and snapped off a couple of shots, but it was right into the sun, so I couldn’t see what I was doing. 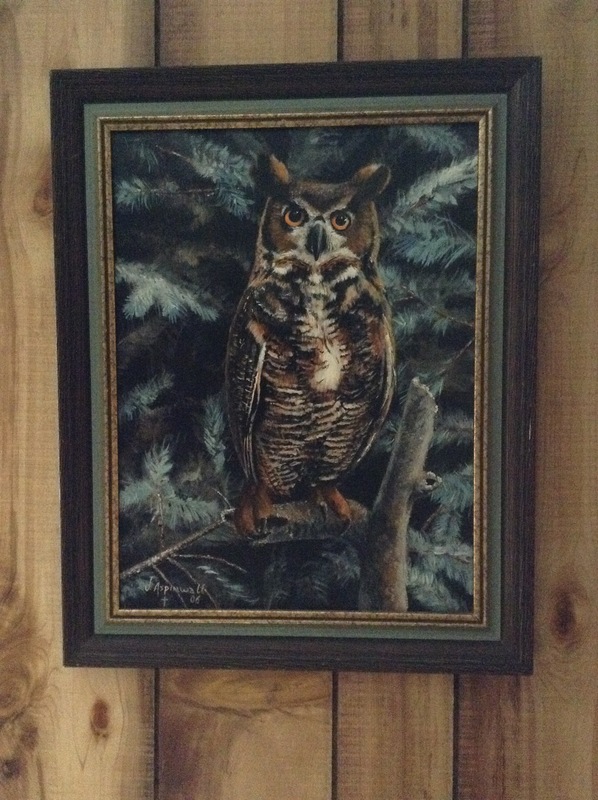 As the owl took flight this second time, my wife had mentioned that her Aunt Signe loved owls. As we go to follow the owl, I stop to take a look at what I’d shot, and find the photo at the top of this post. See that beautiful, multi-colored orb at the bottom right? Orbs are frequently talked about and “photographed” and discussed in paranormal circles…and also in non-paranormal photographic circles. Paranormal folks say they’re some kind of energy manifestation “from beyond,” while the more mundane discussions insist they’re from light reflecting off particles of dust, etc. With all the photos I’ve taken over the 50+ years of my life, I’ve never seen an “orb” in any of my photos. I’ve also never seen any orbs first-hand in any locations that were supposed to be haunted. Never seen any in any cemetery I’ve ever visited…and I’ve visited a lot of cemeteries in many different lighting conditions. But there is a lot of insistence from both camps…and the optical folks have their “science” to rest upon—which I’m not discounting. Light refraction and reflection can create some really cool displays—look at rainbows! 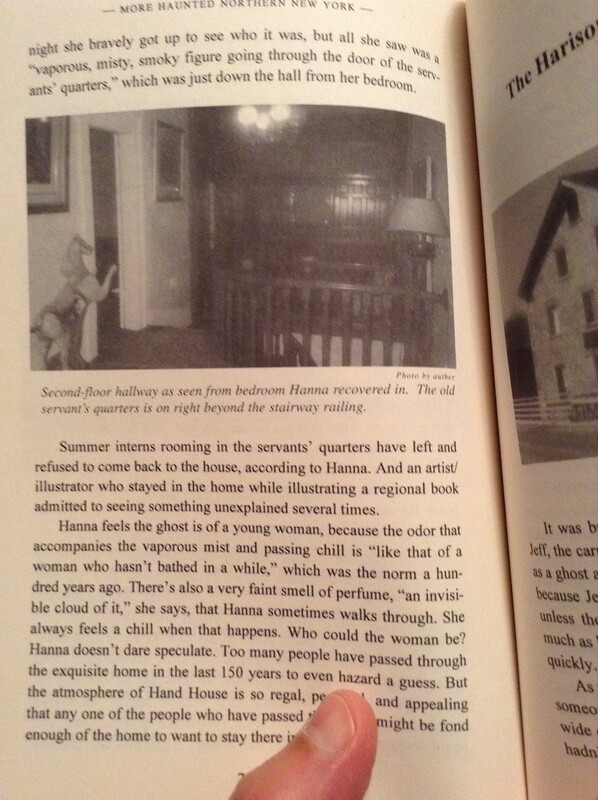 But, I also believe in the paranormal…and that “coincidences” are nothing to sneeze at nor dismiss. I should state that my iPad mini photo did not use a flash. There is no flash that I know of on these things. The fact that my wife mentioned Signe’s name and the photo I just took had an orb in it are too much to simply and lightly dismiss. I don’t believe in coincidences, as I’ve often said, and my wife’s mention of Signe tells me Signe must have been around, given the circumstances…and the orb—the first I’ve ever taken in my life, with all the pictures I’ve taken—I can’t just dismiss as “mere coincidence” and simply a reflection of light off a singular dust particle that is supposed to manifest from flash photography. 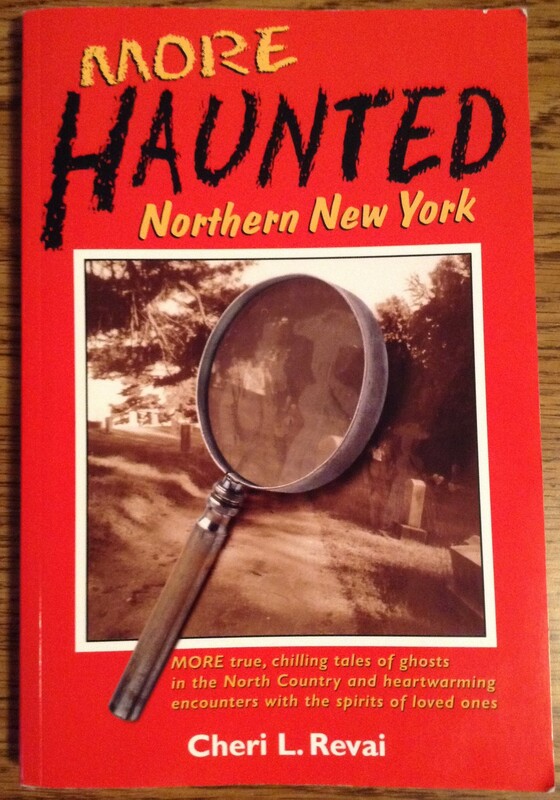 That, to me, seems more farfetched than a paranormal visit from a family member from beyond the grave. After my wife went in search of the owl, I walked all around those trees, and took some pictures around it. I looked off into the distance of the area around the trees, and the angle of the photo—there was nothing reflective anywhere. 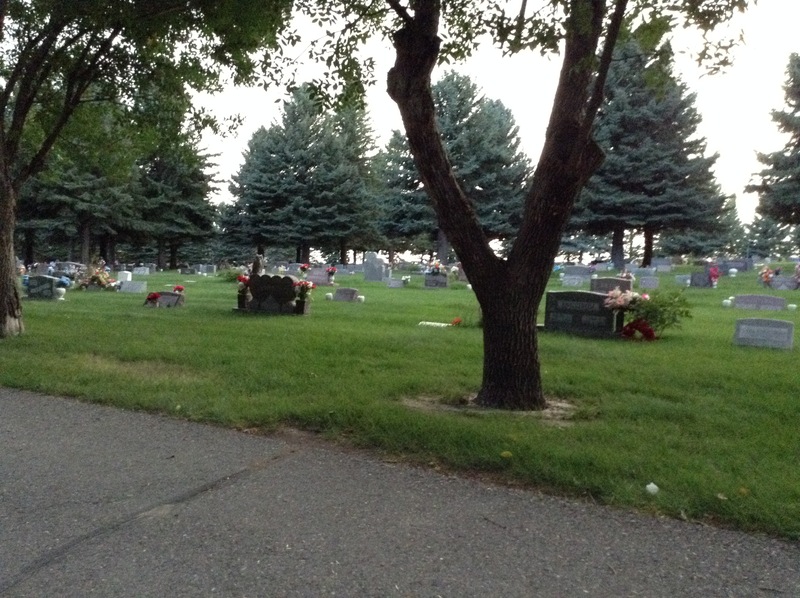 I even took a photo of some hanging reflective ornaments in another area of the cemetery, and they didn’t even show up. So…I’m sticking to my version that Signe decided to show up and “display” an owl for my wife and me. We’ve been to this cemetery many times and have never seen an owl. Ever. Later that same night when we’d first spotted the owl, we went back to the cemetery so my CIL could lay some ornaments on his folk’s gravestone, because it was his dad’s birthday that next day. It was around 7 p.m. We told my CIL about our cool encounter and showed the picture, so he wanted to drive around the cemetery and see if we could again find the owl. So we took our time driving around it. I asked the owl[/Signe] to please show itself again. 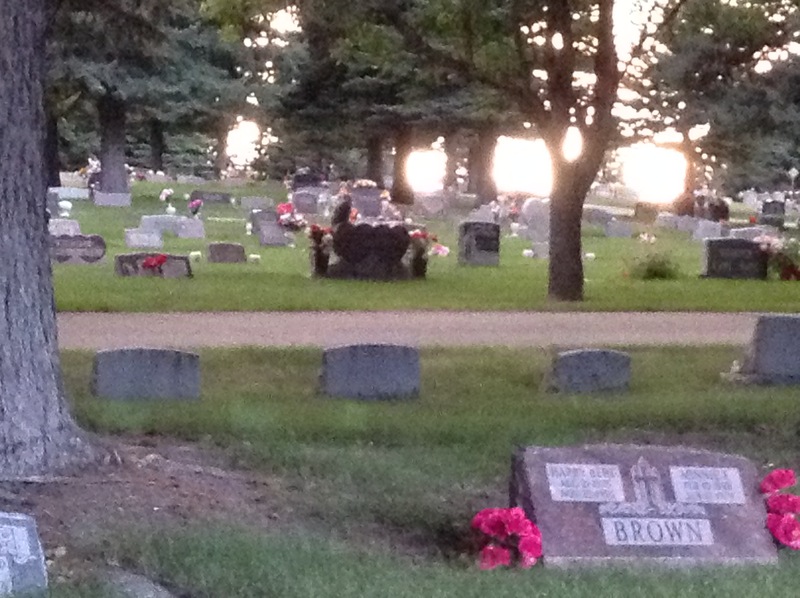 A few minutes later, as we drove around the cemetery talking, I found myself just stopping at an intersection. We all just sat there and apparently I was just staring out into the distance and growing darkness. I wasn’t really listening much to the conversation between my CIL and my wife…when something my CIL says catches my ear: “…Frank must be having one of his moments or something….” We all laughed and I snapped out of my reverie. Apparently I was just sitting there at this intersection…staring off into the distance…and I hadn’t really realized what I was doing. Within a minute or two, there it was! I’d again spotted the owl! It had taken flight low across the cemetery and landed on a double heart gravestone! As I watched it fly, I thought, Gee, it’s like the damned thing just up and flew out of nowhere! I know, dramatics…but it’s what went through my mind at the moment…. This time the owl just sat there on the double-hearted gravestone for quite some time, swiveling it head back and forth at us. We took more pictures with my mini iPad, but the shots are really grainy, because of the lighting and the distance. You can, however, still make out the owl on the headstone. No orbs. I hadn’t said anything to my CIL and wife at the time, but I felt the headstone was somehow significant, and it just wasn’t quite “clicking” until later: Jim and Signe were quite devoted to each other, so I find that the owl resting upon the double-hearted headstone was also no “mere, dismissive coincidence.” It would have been much more “chilling” and neater had the owl been on their actual gravestone, but we had already been to their grave site and were on our way out…so, I was extremely excited to get the sighting we got, when-and-where we got it! The owl sat there and swiveled its head for several minutes, and we drove around at a different angle to try to catch some better shots. It was so incredible to see that imposing, majestic creature! So…was the orb a mere display of rare physics that I just managed to catch at the right time and place, or was it something more? And the whole “owl thing”…again, mere coincidence? And how about my asking the owl/Signe to again make an appearance, just for my CIL? My pausing at just that intersection? All just well-timed, coincidental coincidences?